Sit back, relax and watch the points roll in. Could there be a better feeling than sitting back to enjoy reading all of the latest racing news, knowing that you’re racking up your points balance too? We don’t think so! 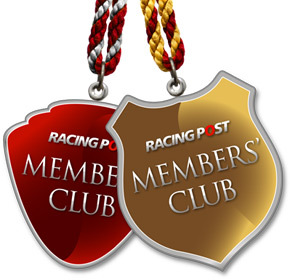 That’s why, together with the Racing Post, we are offering all Members’ Club subscribers 50 FREE points every month. What else can I get with the Racing Post Members’ Club? Members’ Club provides access to unrivalled content, including pre-race and post-race analysis, ratings, horse tracker and full racing & bloodstock statistics. Racing Post tipping content is also available, including the popular Pricewise from 8pm the night before racing, giving members an edge in the market. How do I get my Racing Post points? When you sign up simply tick the ‘Collect Rewards4Racing Points’ box and each month your points will be added to your Rewards4Racing account the following month. Remember to use the same email address on both accounts. Forgot to tick the box? Don’t worry. Go to the ‘My Account’ section on the Racing Post website and tick the Rewards4Racing box from there. Your points will then be added for every month you remain a Members’ Club subscriber.